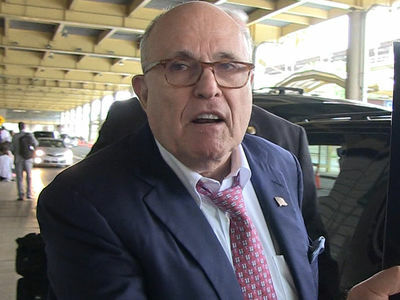 Rudy Giuliani is coming out swinging for President Trump over his recent attacks on late Senator John McCain ... telling us Trump's furious over McCain's role in distributing the salacious Steele dossier. We got Rudy at Reagan National in D.C. Wednesday, and our photog asked about Trump bashing McCain 7 months after his death. The President's personal attorney strongly defends his boss, and tells us why Trump's still pissed at McCain. As you know ... Trump's been blasting McCain all week, even taking credit for the Republican's moving Washington funeral and complaining about not receiving a "thank you." Trump's latest round of attacks allege that McCain turned over the dossier to the FBI and the media before the 2016 election. Rudy says that's what's further driving a wedge between Trump and McCain. 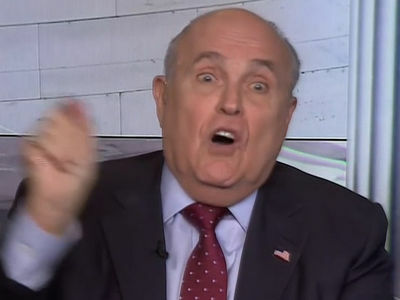 It's been a while since we've heard from Rudy ... he's been taken off the roster as a talking head for the Trump Administration, with his airtime severely cut.